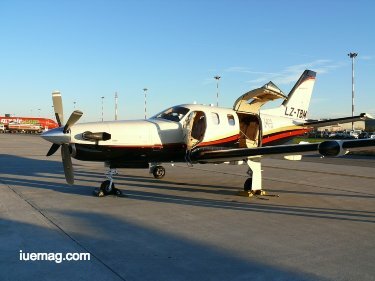 Private jet flight is a dream that everyone on the planet who has flown in a plane almost enjoys seeing. Most think it's day dreaming but the way the world is progressing and economy is growing it looks like most dreams that were once unaffordable are getting into the reach of masses. Here's a piece to inspire to fly on your first private jet experience. Charter flights are becoming more accessible to everyone. They are no longer reserved for billionaires, especially now that there are a lot of private jet rental services available. You can book one the same way you book an Uber; connect to the service provider’s website or use an app to arrange for a private jet to pick you up anywhere in the world. If you are intrigued by the idea of flying on a private jet, you will be happy to know that the available services are much more affordable too. When traveling with family or with close friends, going the private jet hire route can actually help you save. Before that first private jet flight, however, there are several things you need to know. Just because you are flying on a private jet, doesn’t mean you can simply take everything with you. There is still a weight limit to follow, so be mindful of the luggage you carry on the trip. The same rule applies to other passengers taking the flight with you. It is also better to stick with soft bags rather than those rigid suitcases. The latter can be a problem on charter flights. Private jets are designed to be small, sleek, and efficient. While the cabin is spacious and can accommodate a lot of people comfortably, the baggage compartment isn’t as spacious in many cases. With rigid suitcases or hard cases, fitting your luggage into a limited space isn’t so easy. The crew may have to ship your luggage separately if they can’t fit it all into the airplane. Soft bags and backpacks are much easier to handle since they can squeeze into tight spaces better. You must never try to sneak alcoholic beverages onto the airplane for one particular reason: you don’t have to. There is no rule against bringing your own wine or other drinks when you are traveling on charter flights. Some private jet hire service providers such as Paramount Business Jets will even provide your favourite beverages for you, completely free of charge. The only rule to follow is how the drinks are served onboard. The stewardess or crew must serve the drinks. If you bring your own drinks, have the crew place them on ice for later consumption. One last thing to remember about drinking on a private jet is to avoid red wine completely; most private jet rental companies actually have policies against red wine onboard of their jets. Turbulence or other factors can cause spillages and we all know how difficult it is to clean red wine on interior components such as the carpet or leather. This is actually a classic mistake even experienced private jet flyers still make. Yes, you don’t have to go through the usual security line at the airport; you are flying private after all. No more waiting in long lines or adhering to the fluid restrictions. You can even drive up to the airplane directly and board the aircraft in utmost style and luxury. However, a valid ID is still required. Make sure you have your passport with you. On international flights, you also have to go through the usual immigration procedure, albeit with VIP treatment making the whole process more manageable. Most private jet rental companies will have your private jet ready an hour early. When making the travel arrangements, you can set your own departure time too. It is one of the many reasons why flying private is the way to go these days. The extra flexibility means you don’t have to spend hours at the airport waiting to depart. To make the whole private flying experience better, always notify the crew when you are on your way to the airport. This gives them time to prepare the airplane earlier, so you can depart soon after you board instead of waiting for the preparations to be made. Besides, notifying your crew also lets the captain get take-off clearance from ATC sooner. The same goes for when you are running late. Don’t worry; it’s your jet, so you can leave whenever you want. Different charter flights will have different rules on handling delays, but you always have that ability to depart at any time. Notify the crew of the delay so that they can make the proper arrangements. As mentioned earlier, you can drive up to the airplane directly in most airports. That said, you may want to check with the service provider regarding your parking arrangement. The best companies will simply store your car for you; you drive up to where the airplane is parked, and a valet will store your car in a safe location. It will be waiting for you when you return. Alternatively, you can arrange a pickup. This eliminates the hassle of driving to the airport completely. 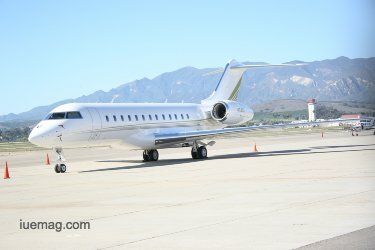 Some private jet companies offer a limo service and free pickup as part of their service lineups. Just be sure to make the necessary request when booking your flight, including notifying the service provider about where you want to be picked up for the trip. Private flights do offer you a lot of flexibility. You can fly at your own time, bring your own drinks, and have the best time traveling to great locations around the world. These flexibilities aside, there are a few basic etiquettes you need to know to make the whole experience more enjoyable. First of all, dress comfortably – but appropriately – for the flight. 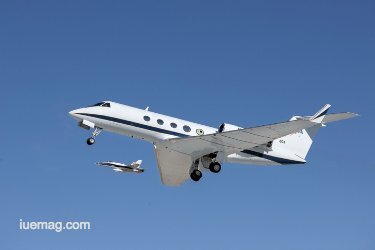 You don’t have to wear a suit or formal attire for your charter flights, but you don’t want to be overly casual either. A casual business attire – a polo shirt and a pair of jeans, for example – is usually perfect. You stay comfortable throughout the flight with a more casual outfit. You can also choose to tip the crew. Tipping isn’t mandatory in this industry, but it is a nice gesture nonetheless. Pilots of private jet charter flights receive anywhere from £20 to over £1,000 in tips on a single flight. Don’t worry too much about the amount; it’s the gesture that counts. Lastly, be kind to the crew. They are there to ensure the best flying experience, but that doesn’t mean you can be rude to them, especially when asking for things. The kinder you are to your crew, the more pleasant your flying experience will be in return. Keep certain remarks (i.e. an offensive comment or a bad joke) to yourself. The most important thing of them all, however, is to have a great time. It’s your flight; you can do virtually anything you want as long as it is within reason. You can invite friends to travel with you and have an absolute blast. Private jet charter flights are like a fantastic concierge service. As long as you let the service provider know if you have any specific requests, they will go the extra mile and prepare everything for you. Add the affordable service fees and it is easy to see why flying private is the only way to fly these days. Any facts, figures or references stated here are made by the author & don't reflect the endorsement of iU at all times unless otherwise drafted by official staff at iU. This article was first published here on 9th January 2018.